We have 2 Antioch Self Storage Locations. A suburb of San Francisco and Oakland, Antioch, CA benefits from its unique geography and location. With Mt. Diablo to the southwest, Sherman Island to the northeast, the San Joaquin Valley farmlands to the east, and the San Francisco-Oakland metro areas just a short drive away, residents have access to a myriad of recreation. From windsurfing to hiking, Antioch, CA provides access to it all. But residents don’t have to leave the city for recreation opportunities. With numerous parks, the Black Diamond Mines Regional Preserve, and the San Joaquin River all within Antioch’s boundaries, there are plenty of ways to get outside and enjoy central California’s pleasant weather. 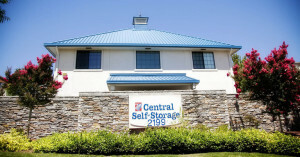 At Central Self Storage, our goal is to make your lives easier. That’s why we offer a range of storage unit sizes and features to store everything from recreational equipment to your antique shopping finds that don’t have a spot at home yet. We make moving easier by providing a space to keep your belongings while making the transition. 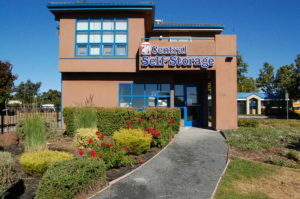 At Central Self Storage, we have an option that will work for you, regardless of your storage needs. We offer climate-controlled units to better preserve your valuables through any kind of weather, especially Antioch’s hot summers, which can be hard on electronics, furniture, photos, and other sensitive items. Find your nearest Antioch, CA Central Self Storage to learn more about each facility’s special amenities!